Each year at Venterra’s “Kick-off the New Year Parties” we have a Spirit Stick contest per region. Each property is asked to showcase its spirit based on the criteria created. 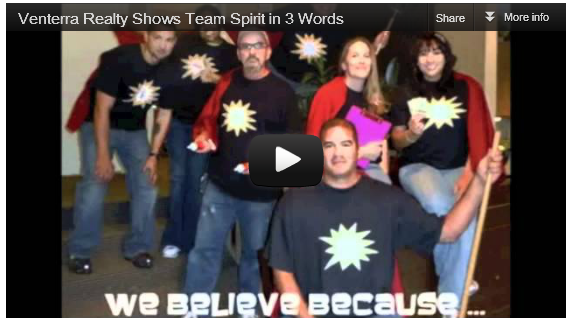 For the 2012 Kickoff we asked each property to “Show Us Their Spirit…In 3 Words” through a video or picture slideshow set to music. Properties that chose to participate created 3 words that best described their team and then created a short 2 minute video or picture slideshow.